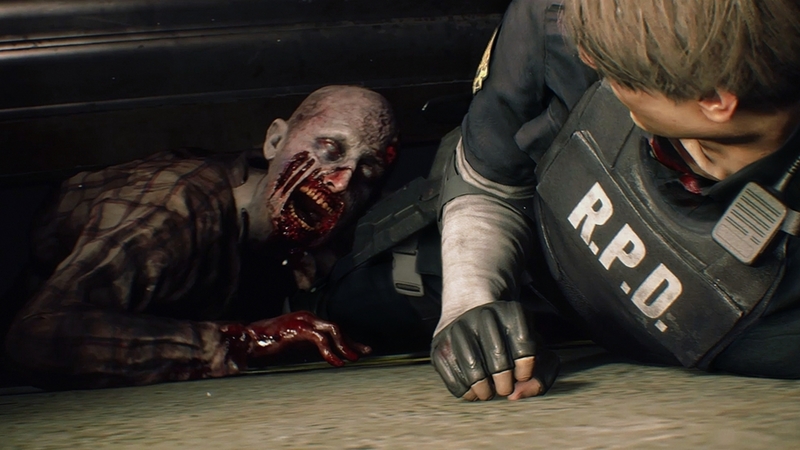 Capcom has announced a demo for the Resident Evil 2 remake – and it lasts for just 30 minutes. The “1-shot” demo, which goes live on 11th January for PC via Steam, PlayStation 4 and Xbox One, is set on a 30-minute timer. This means you’ve got half an hour of playtime before the demo ends – and once your 30 minutes is up, that’s it. No starting again for another 30 minute shot to see if you can get further into the demo. It’s a one and done job. The 30-minute 1-shot demo, which starts with rookie police officer Leon S. Kennedy trying to escape from the R.P.D. station, is certainly a bold move from Capcom, and I imagine it will annoy plenty of people who are hungry to play more. But it’ll get tongues wagging, and it’ll be interesting to see videos of playthroughs to see how far players get with their one and only stab at the game. The good news is you can continue if you die, or if you complete the mission objective. But, “you can’t turn back the clock and you won’t be getting back the time you lost, so use what time you have wisely”. “Play quickly and carefully if you want to see the end of the demo, and be sure to pick up any useful items you see laying around while conserving your ammo. It may be tempting to try and defeat every zombie that stands, or crawls, in your way, but sometimes it’s better to use a few bullets to make an escape route than empty a clip on a monster that refuses to stay dead. Capcom added that no matter how your demo ends, there’s a new trailer exclusive to the demo to watch when it’s done. The Resident Evil 2 remake, which looks promising indeed, launches proper on 25th January. Our Aoife has played loads of it and is very impressed indeed.